Do you know what is obtained when a standard horse is made smaller in size? A reduced version called miniature horse. These horses are around 34 inches tall and have a life span of 25 years. Also, they are available in wide range of colors. Although miniature horses are not used for riding, a kid can have a wonderful riding experience on it. Miniature horses love to spend their time in pastures and also make a great show animal. Here are some decisions that you need to make when you buy a miniature horse for sale. Firstly, decide the purpose of owning a miniature horse. You should know whether you want the horse simply as a companion or for something else. Many people also prefer to have these horses for giving ride to their children, so are you also among them? You need to make choice between a trained mini horse and a foal one. In addition to this, set your mind for the events in which you want to take your horse so that while purchasing you can check if the horse is capable of providing what is required. 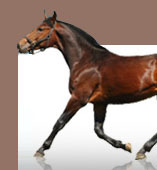 Also have expectations about the horse’s abilities and temperament. After having all these questions answered to yourself, you can begin your search for miniature horses for sale.